On Saturday, March 30, Helen Patricia (Pat) Lovvorn Stokes loving wife, mother, grandmother, sister and dear friend entered her heavenly home. Pat was born on January 1 in Carrolton, Georgia to Homer and Florine Lovvorn. Pat loved the Lord and spending time with her family. She was a true example of how to live for her Lord, for her family, for her friends and for her church. Her home was a haven for everyone. Her life was an inspiration to all on loving kindness. Pat was married to James Stokes and would have celebrated their 59th anniversary on June 11th. She was an excellent cook and enjoyed celebrating family birthdays, Thanksgivings, Christmas and Easter with her family, but her favorite was Thanksgiving when the whole family would convene at her house. 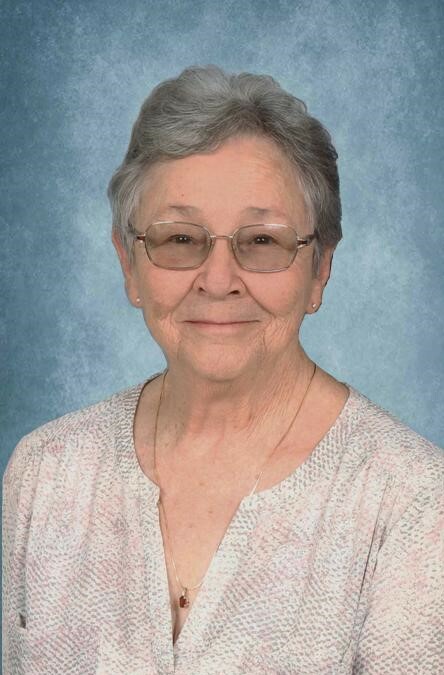 Pat was a faithful member of Porterfield Baptist church for 40 years where she taught Sunday School for children, youth, and most recently the Ruth Sunday School Class. She had a beautiful alto voice and sang in the choir and served on numerous committees. Any time the doors of her church were open, Pat would always be there. In addition to her parents, Pat was preceded in death by her sisters Virgie Walker and Betty Barrett. Her memory will forever be treasured by her husband, Jim Stokes; children Cindy (David) Stephens of Macon, Michael (Stacey) Stokes of Fort Valley, and Tracey (Terry) Landreth of Warner Robins; grandchildren Sam (Mary Kathryn) Stokes of Macon, Shane (Deshanna) Stephens of Kathleen, John and Christina Stokes of Los Angeles, California, Matthew Day of Macon, Bryan (Megan) Landreth of Connecticut, Jason, Sara, and Steven Landreth of Warner Robins; siblings Homer (Debbie) Lovvorn of Mooresville, N.C., Judy (Jerry) Conrad of New Orleans, Louisiana; and numerous great grandchildren, nieces and nephews. A memorial service will be held Sunday, April 7, 2019 at 3 pm at Porterfield Baptist Church, 2910 Allen Road, Macon, Georgia with visitation an hour prior. In lieu of flowers, the family request memorials to be made to the Gideons International. Her message to us and to everyone is to love the Lord and love one another and she was a shining example of this. Hart’s Mortuary on Cherry Street has charge of arrangements.